How Can Young Learners Experience Chinese Culture And Tradition? While the chances of taking on a Phileas Fogg adventure around the world is something most dream about, the opportunity to cross the seas and explore somewhere far and new is still very much a realistic goal. However, when that trip is made it is crucial to maximise the chance to delve into the culture and savour the travel experience. Known to be a cradle of civilisation, China attracts school groups looking to gain an insight into its 5,000 year-old past. The culture, language, and sights all offer students a unique experience unlike anywhere else. The cities and rural areas melt into an intriguing landscape consisting of an assortment of UNESCO World Heritage Sites and modern structures made for the thriving business sector. For a long time China has been developing at a speed unmatched by other nations both in terms of population and technology. However, throughout this time the nation has not forgotten where they have come from. They have managed to embrace the mod-cons of ‘now’ while holding onto a proud ancestry. A country as diverse as its cuisine, China allows teachers to provide learning opportunities that stretch across multiple subjects while enabling students to experience a wholly different culture. In the rush to achieve new breakthroughs in technology there has become a need to hold onto the traditions of the past and what makes a community unique. The Chinese want to engage more with their homeland and this opens up more opportunities for school groups. Whether it is a street stall where you can interact with locals or a Kung Fu Show in Beijing where traditions are communicated indirectly, there is a huge amount to gain from a school trip to China. There are the obvious benefits of having a local guide to support school groups on their tour; providing useful insight into life within the city and rural environments. The experiences students will have will include objectives across the curriculum. Trips to far off lands are about helping to build emotional fitness and exposing students to new experiences. By engaging all of the senses at once in a new environment, students are offered the optimum state of learning. China certainly affords students the opportunity to build their life experiences. What pins China on the school trips map? Beijing offers an ideal place to dive into the country’s heritage. A lot of China’s most notable landmarks are in close proximity. 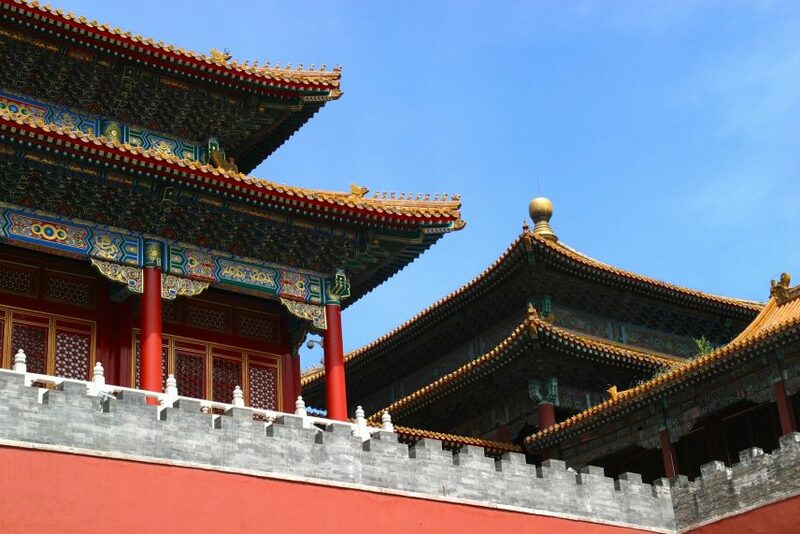 Numerous temples and museums provide insight into the Ming and Qing dynasties. A view on Maoism and its place in the subsequent communist ideology in the Chinese capital provides comprehensive coverage of major points in the nation’s history. 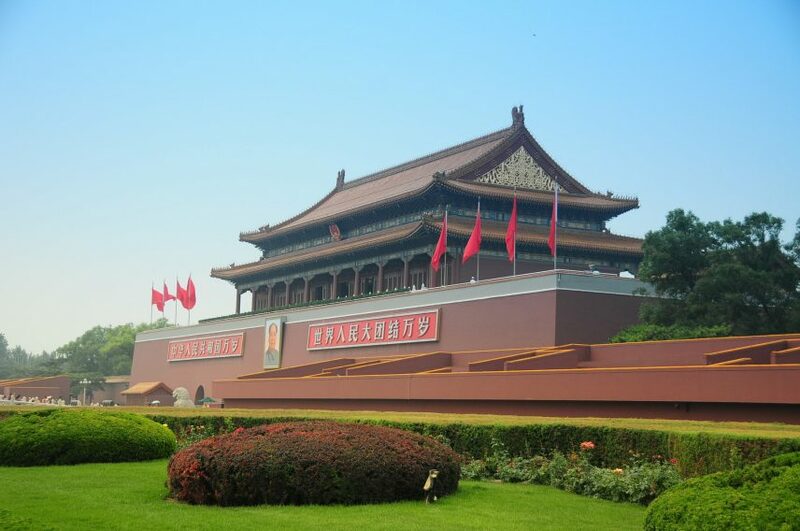 When student walk into Tiananmen Square they will be walking onto the site of countless key moments in China’s history. The history of the area dates back to the Ming Dynasty and remains an important cultural landmark. It provides the perfect setting for students to develop their questions surrounding its significance in Chinese culture. The history lesson continues in Beijing with a visit to The Forbidden City. Here teachers can enhance the learning experience of their students by guiding them in understanding the nature of an ancient civilisation. Home to emperors for over 500 years, the array of decorated rooms and ornamental halls give students the platform to ask perceptive questions. This is where a school trip to China varies greatly to visiting the local museum! Students will be able to make connections between the belief systems of emperors and how buildings, including the Temple of Heaven, played a part in sacrifices and worship. 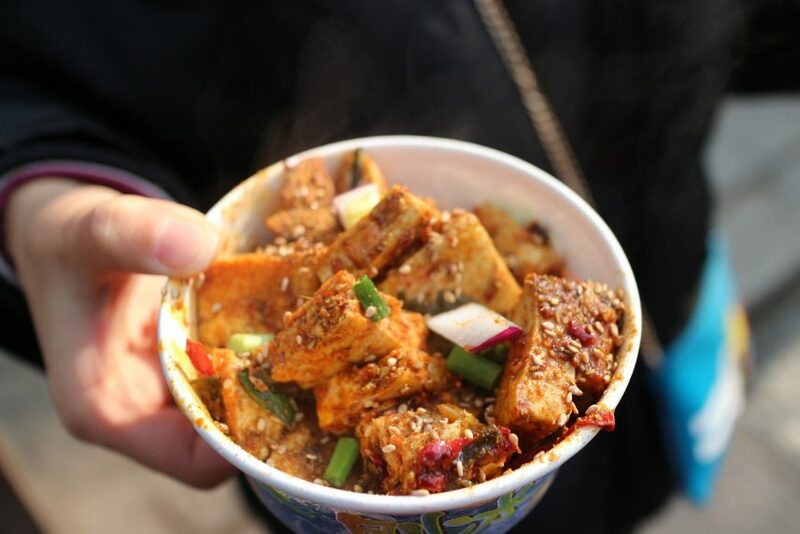 Beijing’s cultural gems equally lend themselves to art students with the opportunity to learn about the history behind the designs, styles and inspiration from ancient times up to the present day. The 798 Art Zone extends the exploration of traditional design elements to the more contemporary interpretations of China’s Maoist period. Given time to sketch, students can explore ideas and record their experiences. One of China’s most iconic landmarks remains the Great Wall of China, which gives groups the opportunity to explore the historic site built to protect the Chinese Empire from northern invaders. Whether it is within the school’s locality or on the streets of Shanghai, teachers will recognise that curricular outdoor learning is facilitated by drawing upon circumstances and people from the local community. The city of Shanghai is a hive of activity simply buzzing with businesses. As China’s centre for business, the city is the obvious choice for budding entrepreneurs seeking extra insight from some of the world’s industry leaders. Teachers of business studies will find a Shanghai City Tour beneficial to their students in providing an overview of the city’s commercial and financial centre. Located next to the City God Temple, Yu Garden was constructed in the style of the Ming Dynasty and has a history spanning 500 years. Divided into 6 areas, students can meander through the gardens, explore the layout and reflect on the site’s purpose in Chinese culture. It proves to be a worthwhile stop and insight into teahouses and tea ceremonies as an art form. Such a visit allows students to foster curiosity and deepen their understanding of tradition. This is further supported with a trip to the Jade Buddha Temple. The temple tells the story of the two Buddha statues brought over from Burma by a monk. The temple was later destroyed during the fall of the Qing Dynasty. Opened to the public in 2012, China Art Museum houses a range of modern and contemporary pieces of art. Relating to Shanghai’s historical and cultural development, the exhibits tell a story of change while showcasing work from some of the most famous artists in China. 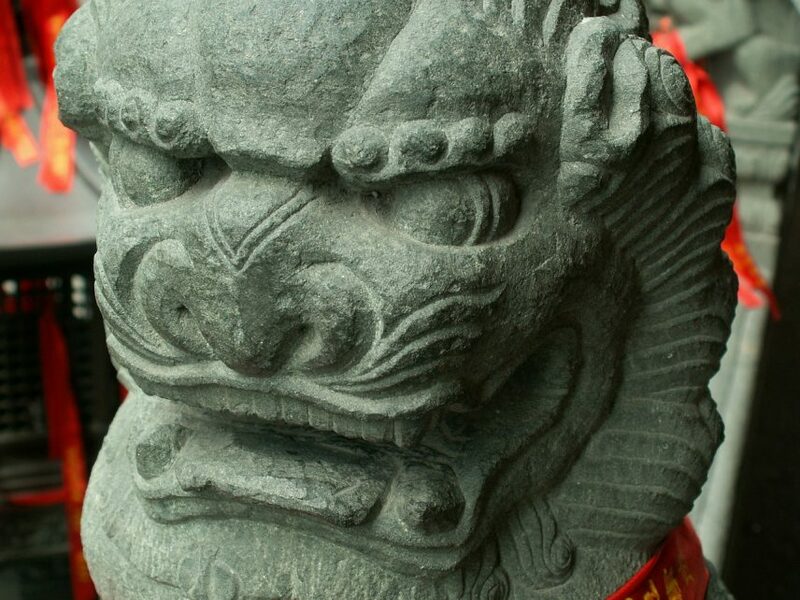 Travel to the city of Xian and embark on a journey through the relics of an ancient civilisation. 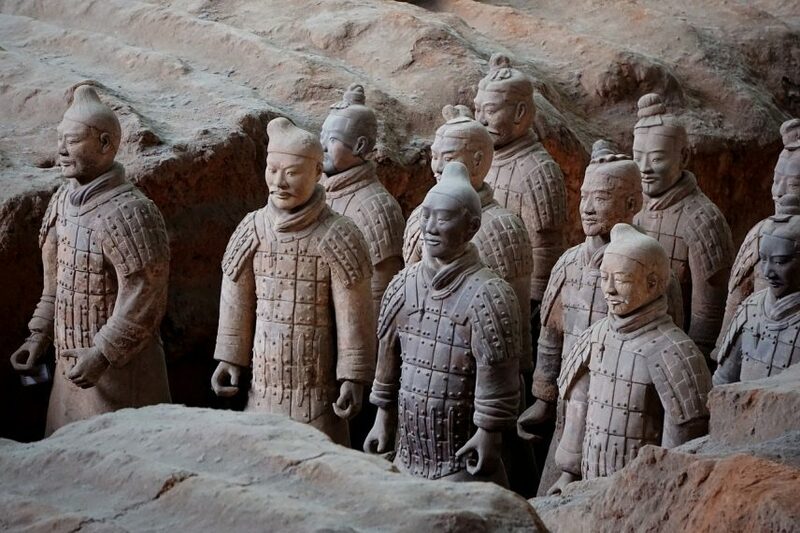 One of the most famous points of interest remains the Terracotta Warriors. The display of nearly 7,000 warriors, constructed to protect the emperor in the afterlife, is an outstanding display allowing for school groups to explore the traditions of the Qin Dynasty. Art Museum. Providing a unique overview of customs, folklore, music and paintings, the museum allows students to engage with the ancient arts still widely practiced in East Asian cultures, including calligraphy. China is very much a country that has embraced change but not forgotten its history. Across the urban environment remains elements of years past with monuments telling a story of emperors, armies and the Chinese people pulling through. It is important to consider how the China experience will educate the whole child in authentic experiences, while promoting a hands-on learning within the real world. In a teacher’s bid to search and find more meaningful ways to teach and learn, China offers a bridge between the modern and ancient world. It paves the way for cross-curricular links to be found in China’s key cities. If the key ingredients to students’ success are the chance to prove knowledge, application, analysis and evaluation, China certainly stands as the mixing pot that can provide the stimulus for this to become a reality.